Following an Ivy League education in economics at Brown University, from which he obtained a bachelor’s degree, Douglas Ebenstein attended Duke University Law School and earned his juris doctorate in 1978. Later he became president of Capital Commercial Properties, Inc. and Eden Center, Inc. with principal offices Boca Raton Florida, and a legal office in Falls Church, Virginia. 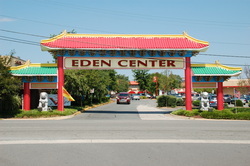 Eden Center had been a local shopping center since the 1960s, but upgrades and renovations under Douglas Ebenstein’s direction transformed it into the cultural center of Vietnamese-American life on the East Coast, with authentic detail, including a clock tower that is an exact duplicate of one in Saigon. Doug Ebenstein contributes to colleges and schools that either he or his children have attended. This includes Brown, Duke, and Emery universities, in addition to Pine Crest and Saint Anthony’s prep schools. In his spare time, he enjoys baseball and football. He also has an interest in photography.